I was lucky enough to be asked to take part in Wilfox's Take 10 blogger project alongside some other lovely ladies. Sadly, I was unlucky enough to be away on holiday when the competition took place, so I couldn't get down on my knees and beg you guys for some votes. When my grandchildren ask me if I have any regrets, this will be it... Just kidding. Some lovely people actually still voted for my look so, if you were one of them, thank you mucho! You look amazing as always, and i loev your hair! You are so pretty and stunning! amazing outfit! I love Wildfox, too bad my bank account doesn't. Gorgeous! The pink tee is so pretty with the white lace too. 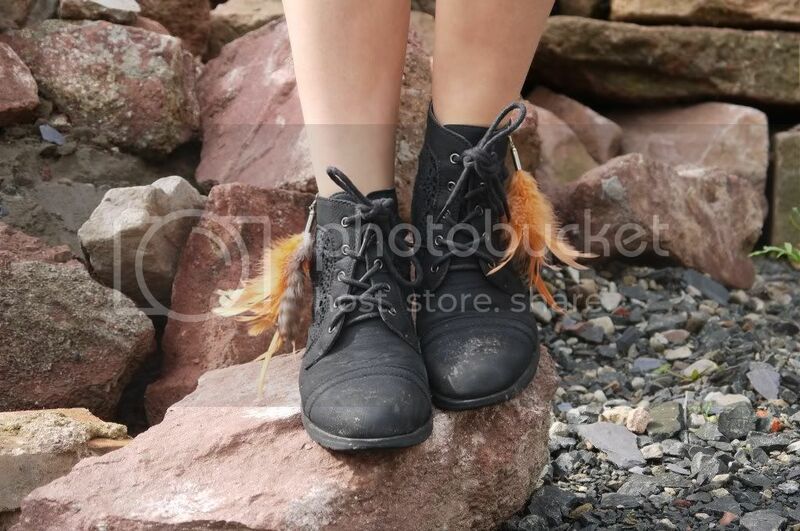 I love the feather details on your boots! Such an beautiful outfit. I love your boots! Lucky gal getting sent a Wildfox tee! I love the bag. So cute. oh you're bag is soooo nice, I need one! 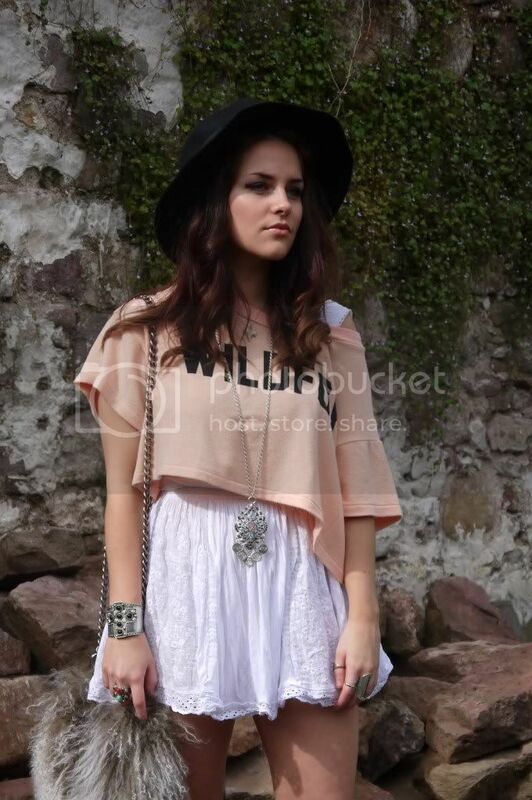 Wow, totally in love with your style! I like your boots and above all you look marvelous. You look gorgeous, I think I'm in love with your bag and boots - they're dreamy! Oh this is the cutest! Love it!